When you are choosing the tent make sure you keep the size of your group in mind, how many dogs, amount of gear, etc… There is no standard for the size of a tent per-person dimensions. Generally assume tents will be a tight fit and if you think you will need more room consider going up in size by one person. Tip: Whenever I am not concerned about weight I always aim for comfort. Do you like your space? Will there be pets or small children? Tent Pole – This will determine how hard or easy tent set up will be. With car camping, comfort is king. If you spend a little extra time on your tent, it will be much more enjoyable. A good quality tent will have a longer lifespan and provide you with an overall better experience out camping. 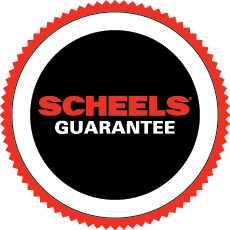 If you have any other questions about choosing the right tent for camping, stop by your local store and talk with a SCHEELS Camping Expert.